This week’s trend report is out of this world – stars! 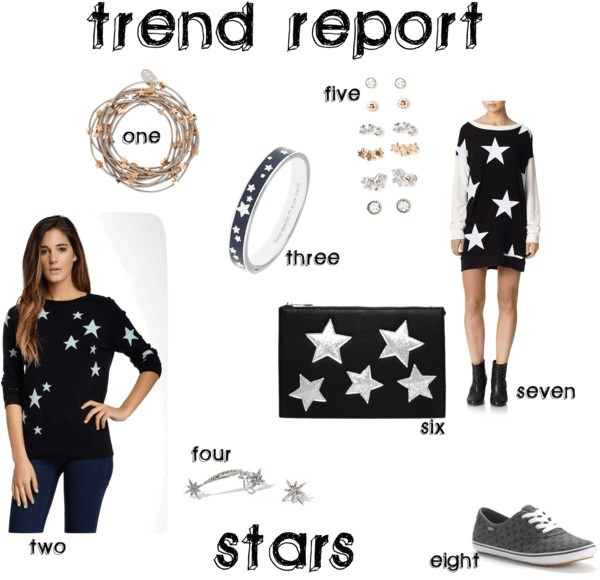 Whether you like a bold statement or a subtle one, anybody can shine bright when wearing stars. My favorite way to always incorporate a trend into my look is through accessorizing. I’d definitely would pair the clutch with an all black look (all black is kind of my thing lately) and add pop of color with some fun heels. How would you style this trend? Love this trend! I can always get on board with a fun new print and this is a nice change from all the florals. Yes, it definitely is something different and fun!